The Financial Industry Regulatory Authority (FINRA) issued an announcement highlighting that its Board of Governors approved a series of proposed rule changes related to equity trading and fixed income rulemaking. Initiatives to improve transparency and execution quality on fixed income and equity markets have been at the center of discussions at the FINRA board’s meeting today. If someone had told high-frequency trading (HFT) shops what’s in store for them in terms of regulation until the end of this year, they probably would have laughed. The industry managed to remain unscathed after the notorious ‘Flash Crash” in May 2010, only to bump into the ‘Flash Boys‘ wall of worry in April of this year. The book about high-frequency trading practices written by Michael Lewis and starring IEX Group‘s CEO, Brad Katsuyama, has raised many issues which have caused head-scratching on Wall Street for several years. Financial markets regulators across the world have started paying close attention to the direction of ‘finger-pointing’ 4 years after the ‘Flash Crash’ erased 1,000 points from the Dow Jones Industrial Average (DJIA), only to rally back up 15 minutes later. While HFT companies generated the hot-potato effect which caused the sudden drop, not a single word of criticism as to their modus operandi has been voiced by U.S. regulators, until this year in the aftermath of ‘Flash Boys’. FINRA will start by issuing a Regulatory Notice looking for comments on a proposal to start registering persons associated with the development and design of algorithmic strategies or responsible for supervising such operations. FINRA’s board also approved the publication of a Regulatory Notice to seek comments on a recent regulatory proposal to expand FINRA’s recently implemented transparency initiative which discloses volumes transacted off-exchange on ‘dark pools’ over-the-counter (OTC). Comments will also be sought on the proposal of Clock Synchronization. All exchanges will have to synchronize their computer system business clocks to the National Institute of Standards and Technology’s (NIST) atomic clock. 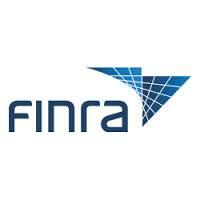 FINRA will also publish a Regulatory Notice to remind companies of their existing supervisory obligations concerning the development and deployment of algorithmic trading strategies. The next batch of HFT regulation includes Trade Sequencing proposing to issue a consultation on identifying OTC trades in National Market System (NMS) stocks reported more than two seconds following trade execution as “out of sequence,” which makes them ineligible for “last sale”. This rule aims to limit the damage done from the infamous Reg NMS. The Securities and Exchange Commission passed the new regulation named National Market System in 2005. It required brokers to find the best market prices for the investors they represented and it was not implemented before 2007. Up until then, if an investor wanted to buy 500 shares of Apple at $100 a share, when the broker observed that there were only 50 shares offered at $100, he would choose to wait until more sellers showed up. This practice is known as “best execution”. However, brokers have started abusing the trust of their clients and the government decided to take the discretion away. Reg NMS replaced the legal definition of best execution with best price, which relied on the notion of the National Best Bid and Offer (NBBO). Under the new regulation, if a client wished to buy 500 shares of Apple, and 50 shares were offered on one exchange at $100 a share, while the full amount was available on other exchanges for $100.01, the broker was required to purchase the 50 shares on the first exchange before moving on to other venues. That’s precisely the moment when the HFT firms stepped in and started to do their own thing by front-running their slower counterparts. Since there are no regulations against this, anyone with the right amount of resources can do it too. But wait, isn’t the market supposed to be a level playing field? The regulator will publicize a Regulatory Notice requesting comments on a proposal to require member firms to provide confirmation disclosure of pricing in same-day principal trades of retail size. The Board also authorized the publication of a Regulatory Notice seeking comments on a proposed requirement that ‘dark pools’ report to FINRA for regulatory purposes information concerning the quotations they display to their general subscriber base for certain fixed income securities. A full list of the rulemaking items approved by FINRA’s Board is available on FINRA’s website. – How are dark pools formed? I’m thinking the pool is more or less a dealer or group of dealers (ECN) that operate off-exchange? – Where can I comment on the clock synchronization?